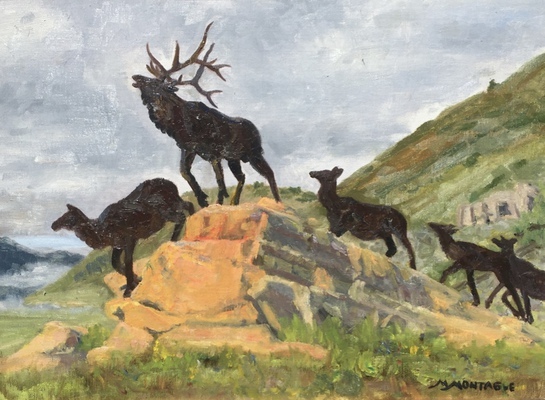 This painting is named "Bart Walter's 'Wapiti Trail' ". The subject is the spectacular entrance sculpture for the National Museum of Wildlife Art in Jackson Hole, Wyoming. The Jackson Hole Daily featured Matt on the front page, working on the painting during the Plein Air Fest in June, 2016.